I am back! And my little vacation was pretty perfect. I ended up in Branson, Missouri. 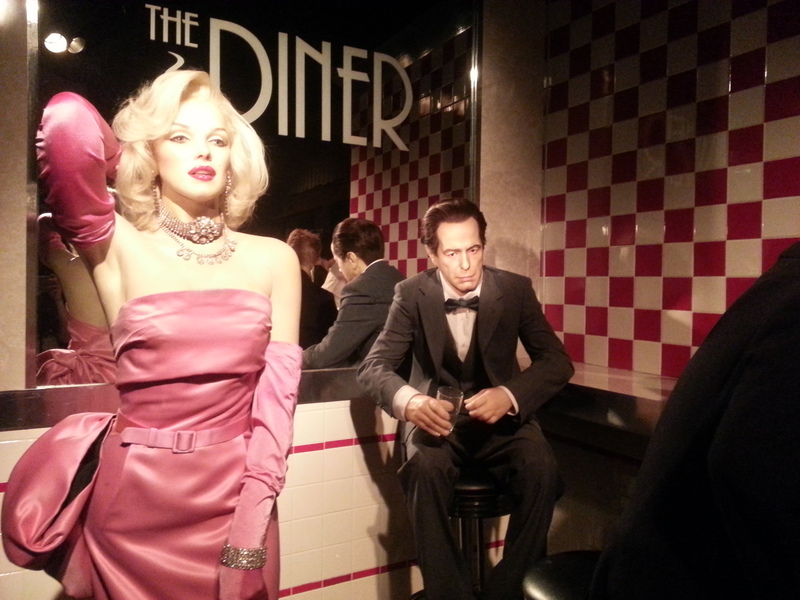 I’ve never been there before, so I didn’t know what to expect, but I visited a wax museum, the Titanic museum, and a maze of mirrors. (They are seriously difficult to get through.) 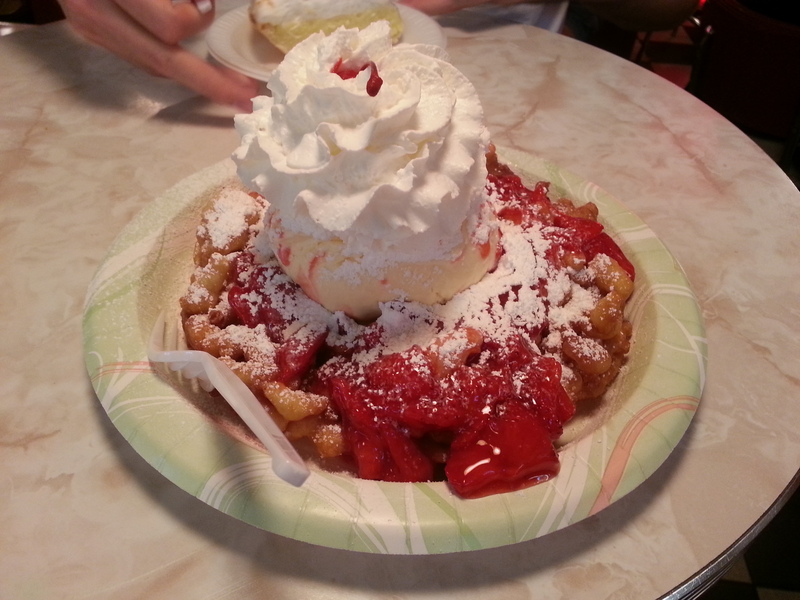 And I ate a funnel cake that was the size of my face, so the past few days were truly fantastic. Thank you all for understanding my time away. One of these days, I’ll write about why stepping away is one of the best things a writer can do, but today I really wanted to thank all those bloggers who kept things going while I was away. Because so much happened, I’ve actually organized the events into categories. I hope you’ll check out these fantastic websites. P.S. 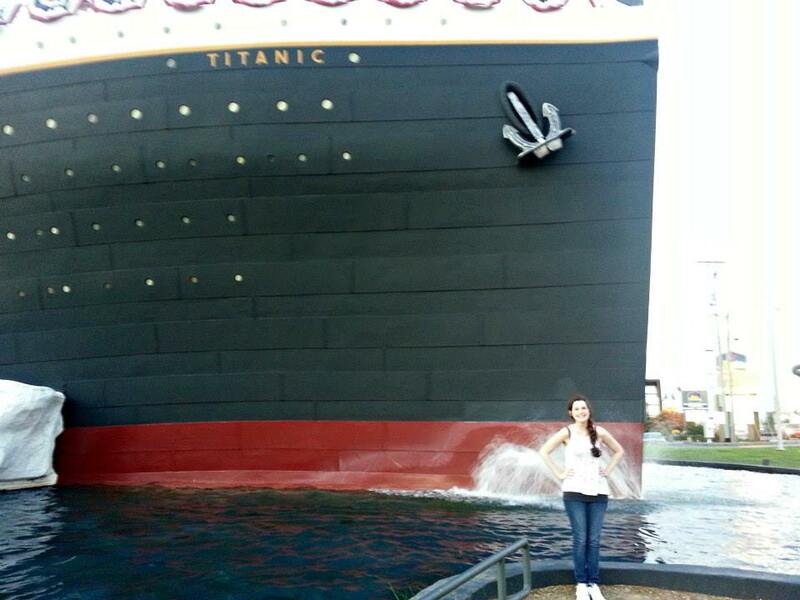 I’ll share photos in between categories, so here’s a picture of me at the Titanic Museum. Click here to read my next point. The Starving Bibliophile asked me many questions this week, but my favorite one involved POV in my works. I finally explain why Noah didn’t narrate Take Me Tomorrow, because – surprise – he, originally, did tell half of the story, but I also talk about the one career I wanted before I wanted to be a writer. HeiBooks is a new website that features all kinds of writers, and they invited me on for Take Me Tomorrow. On my page, you can read about our interview, and you can a scroll around their website for many other novels, including many AEC Stellar books. Click here to check it out. Here’s my giant funnel cake. Diary of an Eager Reader is the latest reviewer on this wonderful list that I’m truly thankful for. She read Take Me Tomorrow, beginning her review with “I have to consider myself to be pretty lucky since some of my favorite stories come to me through the help of authors who are looking to get buzz for their books. 9 times out of 10 they are great stories that i’m more than happy to talk about, and this one falls right there with those 9. 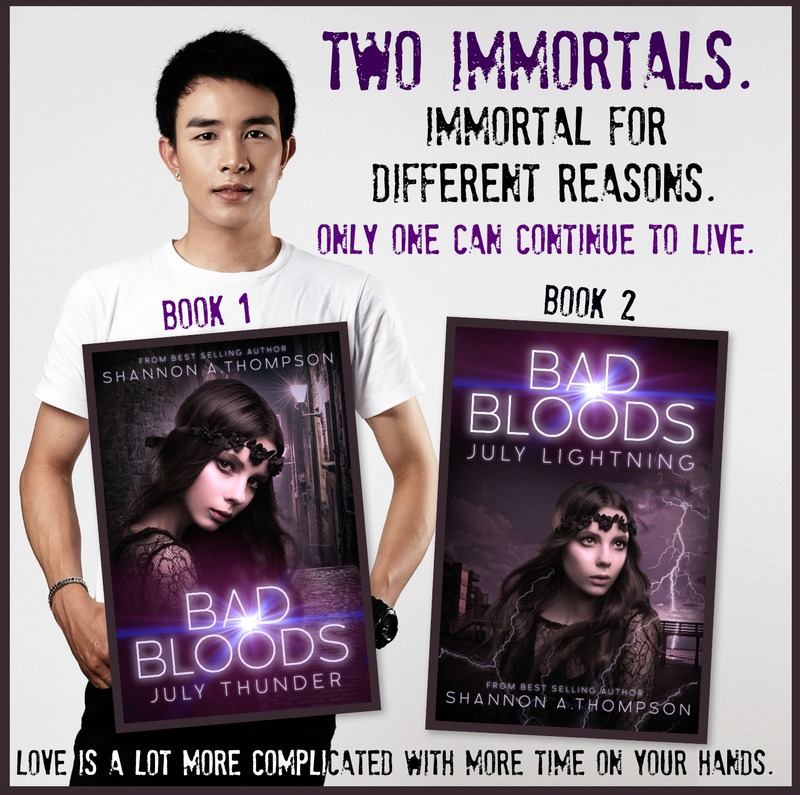 I really enjoyed this story.” And she tells you why in her review here. 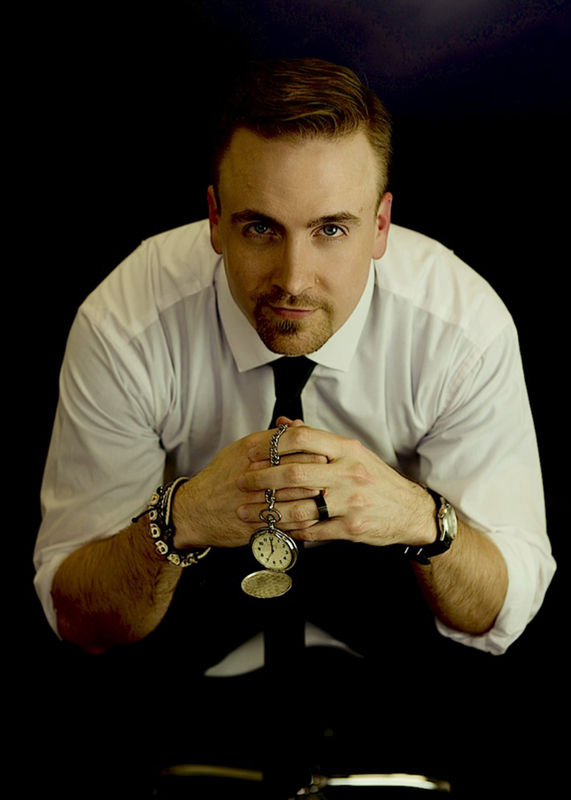 Ray’s Works – the website of Matter of Resistance author Raymond Vogel, is my next reviewer, stating, “Expect vivid images, creative characters (with even more creative motivations), and a complex web of connectivity that’s hard to guess. Well done!” But you can read his full review here. 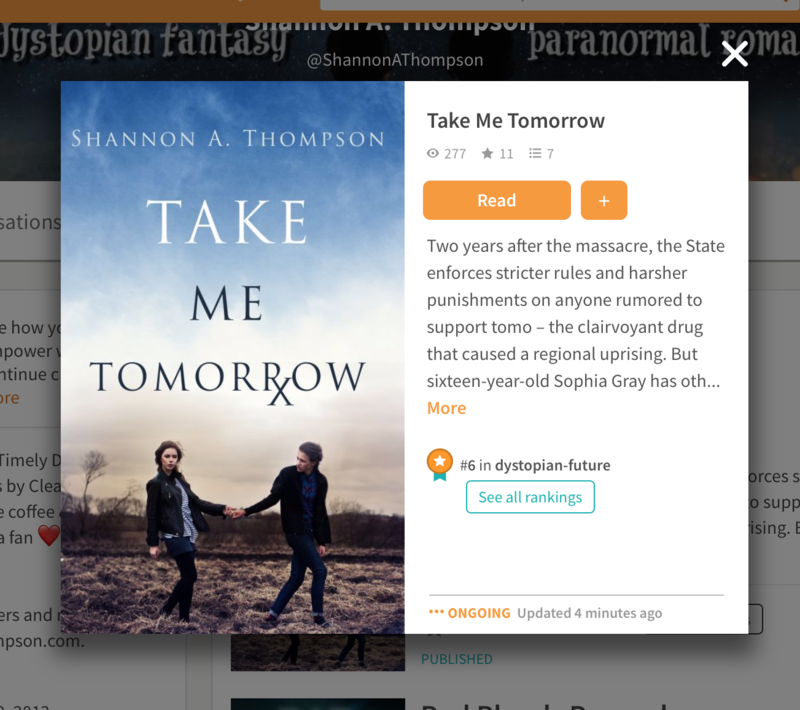 And finally, Things Matter, wrote “The tone and content are very similar to The Hunger Games, and I recommend Take Me Tomorrow if you’re looking for a read-alike to that or if you just like YA dystopia in general!” But you can read all of her thoughts by clicking here. 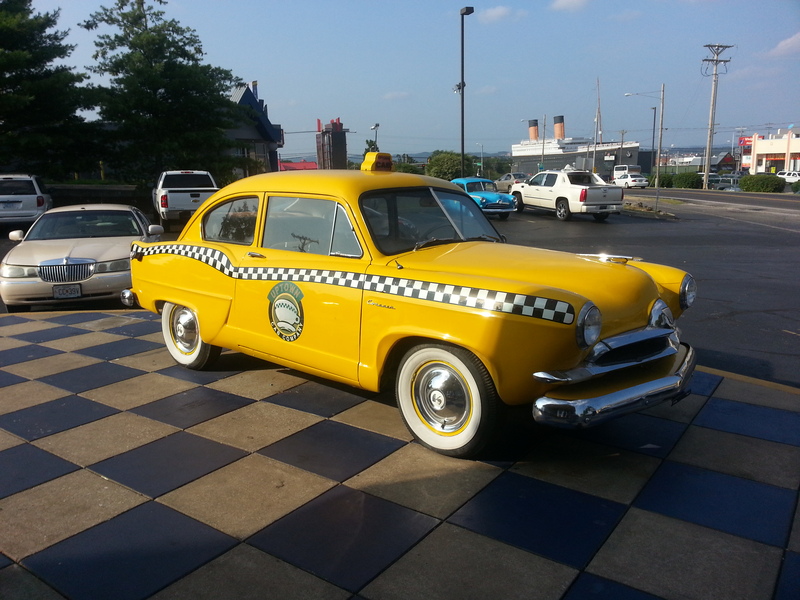 Here is a car outside the Uptown Cafe where they sing live while you eat! 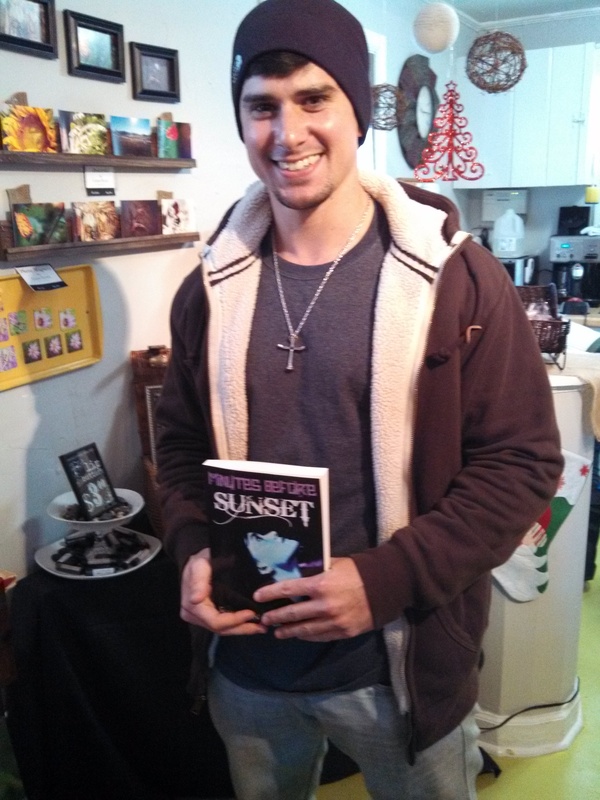 I was also author of the week on Books to Curl Up with Blog! Have fun checking out these great websites! 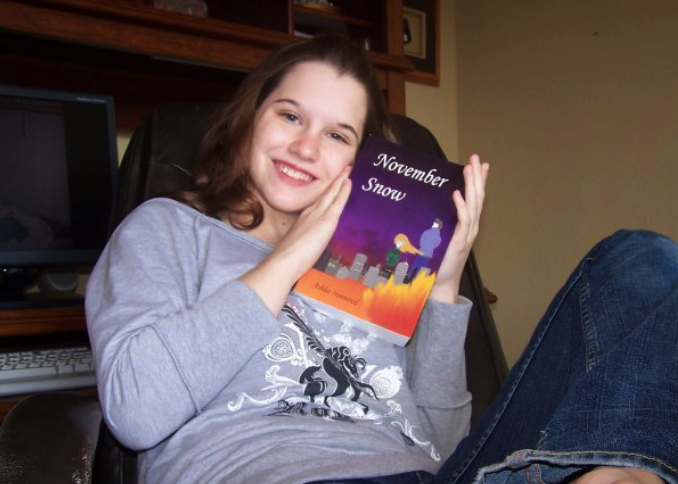 The photo below was taken on July 31, 2007–the day I received the first copy of November Snow in the mail. I’d just turned 16, but I moved shortly afterward, and I lost the photo…or so I thought. A few days ago, I found it on an old computer’s files. It means a lot to me, because the moment was my first novel’s release, and I’m glad I have it again. I’m sharing it, because it’s another one of those instances where we, as writers, can find inspiration from our pasts. 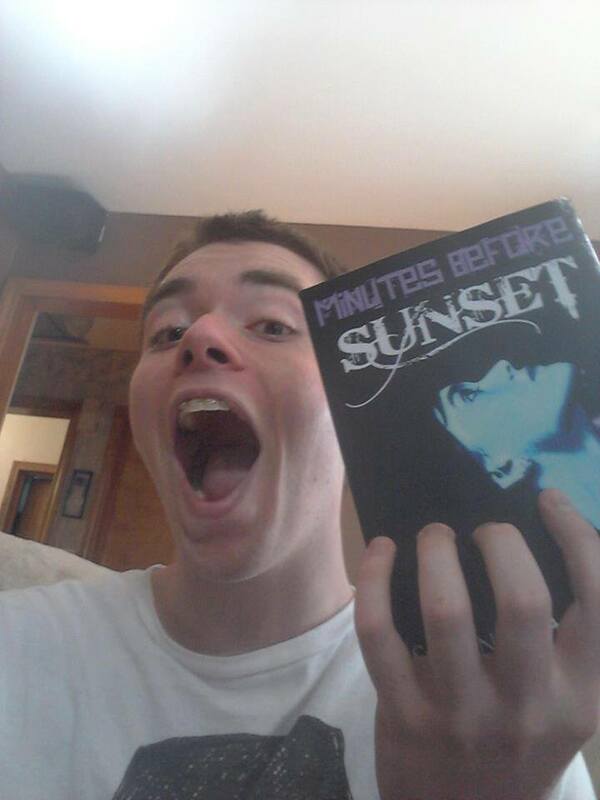 The Examiner reviewed Minutes Before Sunset: 5 STARS! Read the rest here. I can promise the reviewer, Lionel Green, has a way with words, and I’m flattered by his in-depth review and analysis of the piece. Although I’m interviewed about my novels, Baer also adds some fun questions about what I like outside my writing world. Oceans or Mountains? Favorite T.V. show? Happy or sad ending to a novel? Find out what I said here. Joanne asks: What was the hardest part for you in the writing process; the outline, synopsis, query or building the story itself? 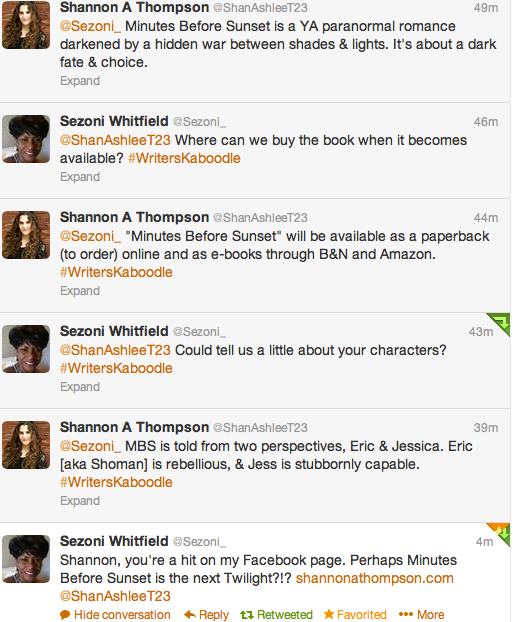 What do you do to promote yourself and your novels? Do you also write in other genres? 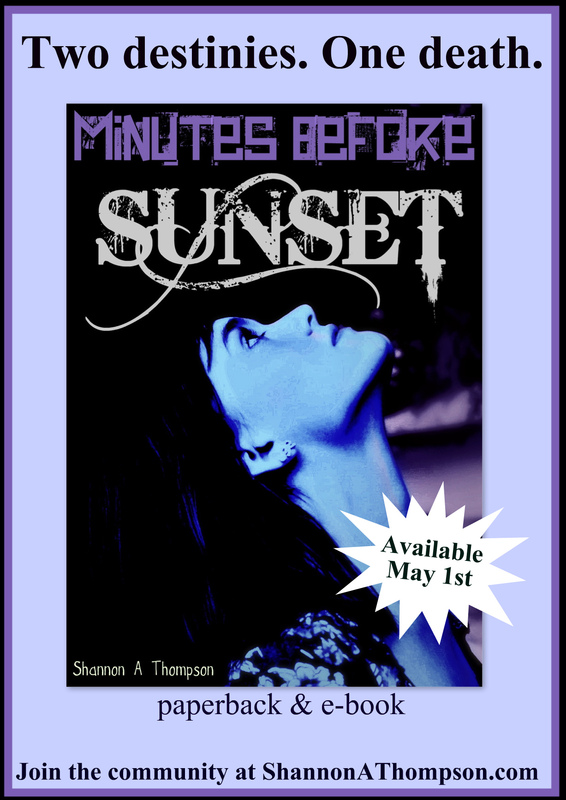 Speaking of which, I’m still giving away free copies of Minutes Before Sunset for review in order to celebrate Goodreads Book of the Month for July! If you’re interested in that (or interviews–or anything really!) email me at shannonathompson@aol.com. 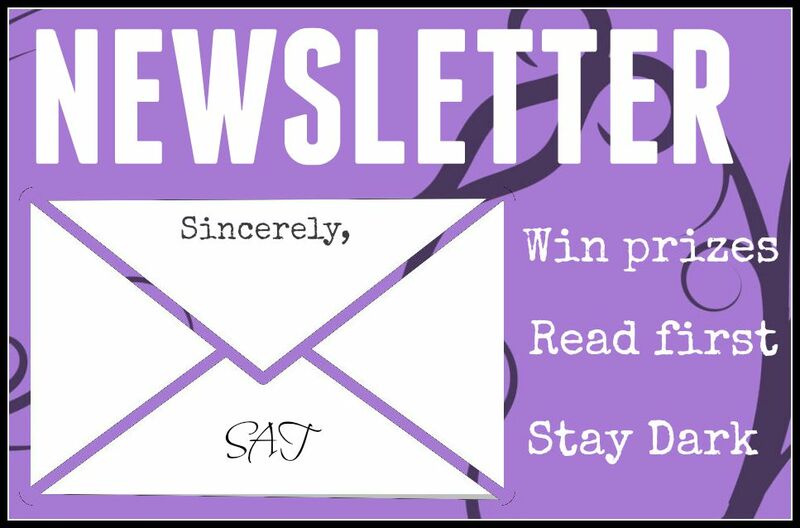 I am also thinking about doing more guest blog posts in the future, so look out for that! Changes are coming, but I’m excited about them!